80% of the companies still do not meet the PCI-DSS security standards. Are you one of them? Get your free e-book and see if you are handling credit card data safely. Airlines & other transportation services. The most concerning part is that still 80% of the companies that should be compliant, aren´t. Are you one of them? 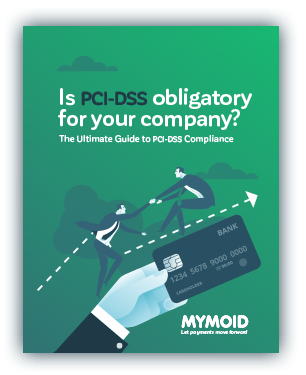 If you are not familiar with PCI-DSS, or you don´t know whether it is obligatory for your company, this e-book is for you! Fill out our form to receive more information regarding our Payment Gateway and prices. In addition, you will enjoy a free ebook and a subscription to our newsletter. As a digital payments solutions provider, we understand perfectly the importance of adopting the best safety measures for our customers. For this reason, we are PCI-DSS certified, offer 3-D Secure protection layers, and every transaction is strictly encrypted and tokenized to prevent fraud and cyberattacks. If you are looking for a new generation of PCI-DSS compliant payment solutions for your business, you have come to the right place! Take control of your payment operations with our technology. Personalize your payment experience to your brand preferences. Access our API documentation for a fast and easy integration. If you have any questions, doubts or suggestions, feel free to contact us.